When one mentions the name Raphael Nakachinda, what comes to mind is the MMD National Secretary. But the Million Dollar question is who is Nakachinda? Where is he coming from and how has he managed to rise on the political ladder from being a Car theft Convict to being a Patriotic Front Nominated Member of Parliament? 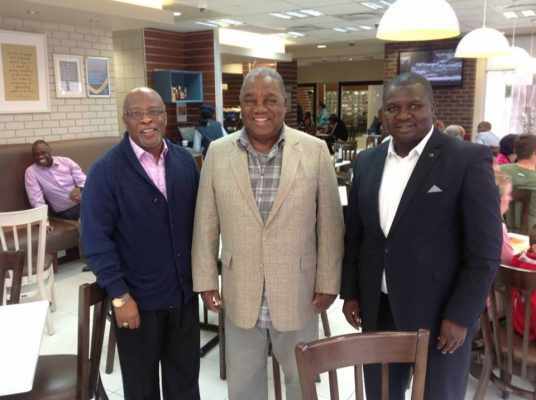 Raphael Nakachinda appeared on the scene when Dr. Nevers Mumba picked him up from the unknown in 2012 after he became MMD President and trusted him by appointing him as his Special Assistant. Nakachinda was later transfered by Dr. Mumba to become Director of Communications in the Office of the President, where among others his duty was to answer Dr. Mumba’s phone. Because of the trust that Dr. Mumba had in Nakachinda, he later on recommended him to the MMD National Executive Committee (NEC) that he replaces Hon. Dory Siliya who had been stripped as Party Spokesperson. The NEC ratified his position and Nakachinda became MMD Party Spokesperson. It was during this period that he, together with other disgruntled elements propped up expelled Felix Mutati and made him run for the MMD Presidency. Nakachinda surprisingly thanked Dr. Mumba for all that he had done by stabbing Dr. Mumba in the back. He defecting to the Mutati Camp and started calling his former Boss and Mentor, selfish and a dishonest person. Before the Controversial 2016 MMD Convention, it was agreed that Nakachinda would maintain the position of Spokesperson and the position of National Secretary would go to Former Republican and MMD President Mr. Rupiah Banda’s right hand man Mr. Chembe Nyangu. However, everyone including RB and Felix Mutati were shocked when during nominations at the Convention, Nakachinda stabbed them in the back by filing for National Secretary and not the agreed upon Party Spokesperson portfolio. Nakachinda run a mudsliding campaign against Chembe by spreading lies that he was a puppet of RB and that he failed in his duties as Deputy National Secretary. Due to this propanganda, Nakachinda beat Chembe and won as National Secretary. Immediately after the Convention, the MMD went into an alliance with the ruling Patriotic Front that saw Felix Mutati get appointed as a Cabinet Minister and Nominated Member of Parliament. The appointment of Mutati didn’t fit well among some PF members. It is said that Nakachinda was recruited by these persons to tarnish Mutati’s name with Republican President Lungu that he was positioning himself for the 2021 General elections where he would challenge President Lungu as Republican President. Nakachinda went on a rampant program of insulting the PF and declaring that Mutati would run for President in 2021. Nakachinda finally managed to stab Mutati in the back when he pronounced on the state television ZNBC, that Mutati come rain, come sunshine, Mutati would run in 2021. Two days later, President Lungu fired Mutati and revoked his appointment as Nominated Member of Parliament. How was Nakachinda rewarded for his treachery? He was appointed as Nominated Member of Parliament to replace Mutati, which he gladly without any shame accepted. The question on everyone’s mind is when and how is Nakachinda going to back-stab President Lungu? How does Nakachinda manage to walk with his head high with a disgruntled tag of back-stabber? The answer lies in his past. We have to take a walk down Nakachinda memory lane to find the root cause. Nakachinda in 2006 got the sum of than K42,000,000 from a Widow of Kabwe to buy a Light truck. Nakachinda went under and never bought nor delivered the truck to the lady. After a year, she decided to report the issue to the Police. Nakachinda was apprehended and charged with Car theft which is non bailable. Nakachinda was taken to Court where he was sentenced to 3 years with hard labour at Lusaka’s Central Province. It is said that it was during this time that Nakachinda pretended to give his life to God and joined Bethel Ministries. After his questionable release, Nakachinda became a Pastor with Bethel Ministries and is currently managing the Bethel’s branch in Kafue. Up to now the lady is still crying for the K42,000 which Nakachinda stole from her and he doesn’t show any remorse for the theft that he did to her in 2007 as can be seen when Prime TV hosted him and asked him about it and he denied that he ever stole from her and he took them to Court afterwards. One wonders how the Learned Mr Speaker of the National Assembly Dr. Patrick Matibini managed to swear in Nakachinda as a Nominated Member of Parliament, when it is against the rules of Parliament for a Convict to become a Member of Parliament. If I was asked to describe Nakachinda in One sentence, I would say that “Raphael Mangani Nakachinda is the Modern Day Judas Iscariot”.